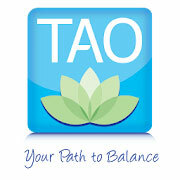 TAO is a platform of free self-help educational modules to help you learn about and change how you think and feel. These modules are designed to help you have a better understanding of your personal experiences and equip you with strategies to aid you in feeling less anxious today and as you go forward in your life. TAO’s educational modules can be completed anytime and anywhere you have internet access. Follow this link to set up your account. Select "Sign Up in Self-Help with an Institution". You must use your @mail.weber.edu or @weber.edu email to register! You can also use the TAO app to sign up by clicking “Not a TAO User?” then “Enroll Via your Institution”. You will be redirected to a sign up page within the app. After you log in, you will be prompted to change your password for your security. Following this, you may be asked to fill out a Wellness Survey. Please answer the Research Consent form that will appear on the home page. Your answer will not impact your ability to use TAO. Following completion of the Wellness Survey, you can access the modules by clicking on “My Pathways” at the top of the page. Then, click the pathway button you're interested in and you will find instructions, a helpful walk-through video, and your pathway.